The tourist accommodation providers of the Costa Brava and the Girona Pyrenees know exactly what you need. They've tailored their offering to the requirements of visitors who want to enjoy the local nature, along with their favourite sports and activities. Choose the option that suits you best. It's all here. If you’re an active tourist or a nature lover and you want to visit the Costa Brava or the Girona Pyrenees in real comfort, here's a great list of hotels that will suit you down to the ground. Rural tourism is an ideal accommodation option for those who want to be close to nature and those who prefer the peaceful life of small towns. If nature and active tourism are your thing, then you'll be in your element on one of the many campsites of the Costa Brava and the Girona Pyrenees. Added to the convenience of staying in an apartment on the Costa Brava or in the Girona Pyrenees, you'll find specialised services for nature tourism and active tourism. 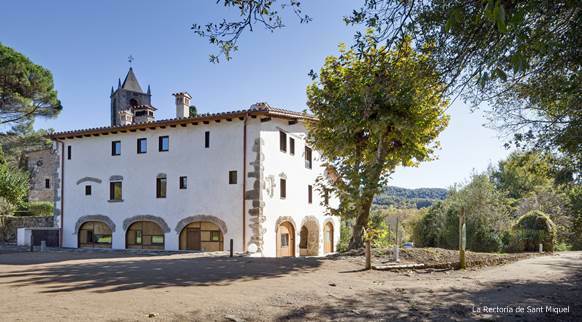 In the hostels of the Costa Brava and the Girona Pyrenees you've got it all. They provide specific nature tourism and active tourism services at more affordable prices, as well as giving you the chance to meet other people with whom to share experiences.